From a mere $20,000 venture funding to valuation of $31 Billion in 2017, Airbnb had changed our perception towards travel and hospitality. 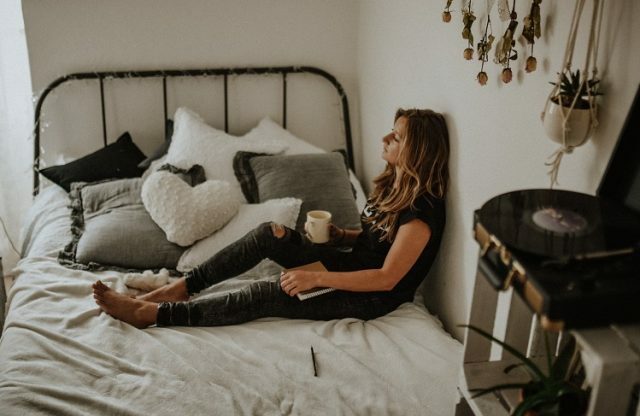 The sudden surge in demand for Airbnb clone scripts among new entrants in the vacation rental business further shows the brand’s worth. There is no denying the fact that Airbnb is the best property listing and management marketplace when it comes to hospitality and vacation services. With US$ 2.6 billion in revenue and 200 million registered members, Airbnb is definitely the one new hospitality ventures should look up to. 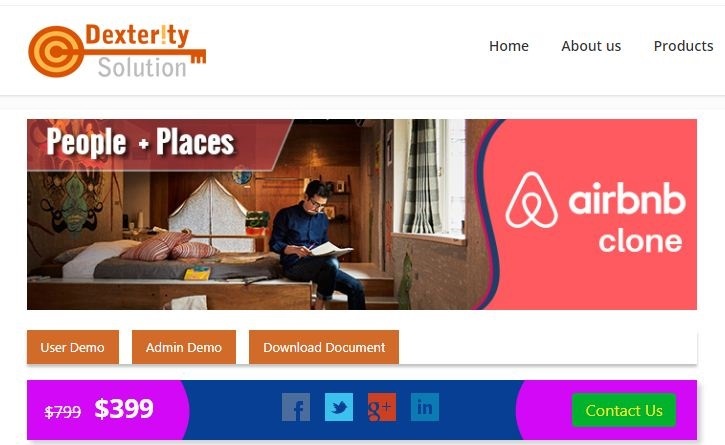 With the huge amount of Airbnb clone scripts already available in the market, our team undertook extensive research and found the best for building Airbnb clone. Burrow is an Airbnb clone script app from the house of Arigya. 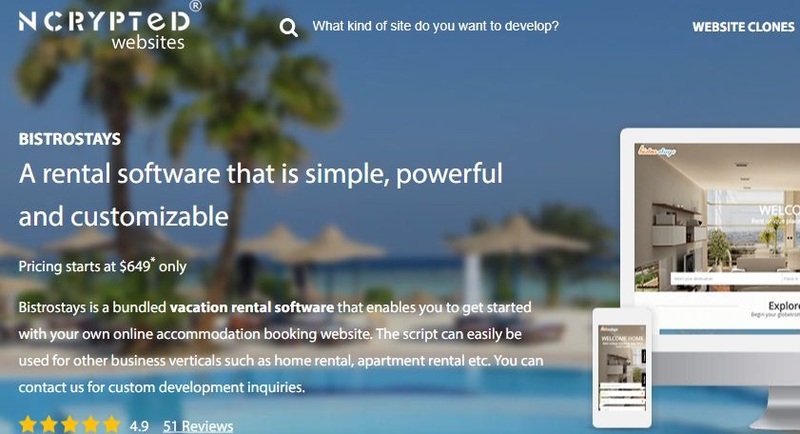 This vacation rental script is loaded with an exclusive set of features and significant facilities that include bootstrapped responsive design, property request, integrated Google analytics, currency converter etc. Burrow is not limited to just the hospitality industry. This script is highly adaptable and can be used to numerous booking platforms i.e apartment reservation, event reservation etc. Free brand removal and access to source code. 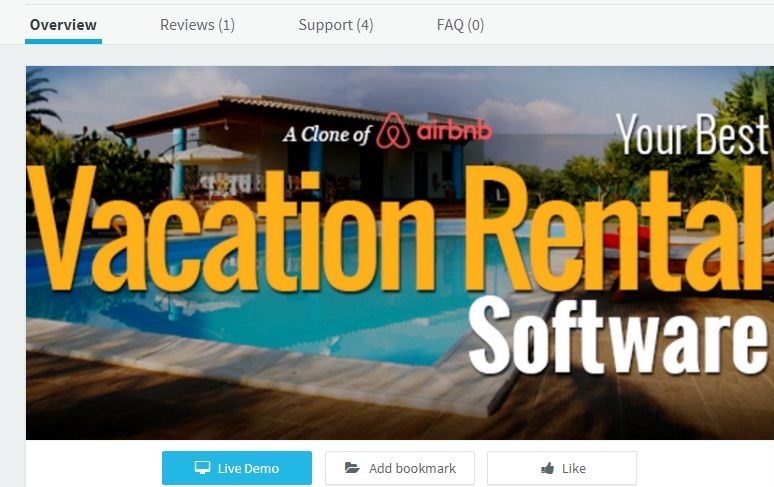 Need all the advanced vacation rental features in your Airbnb clone app? Renters has it all. Zoplay claims that they’ve made the best Airbnb clone app in the industry. The key features that stand out Renters are watermark feature, review and ratings, Amazon server, coupon code module etc. Lite – $649 includes all the basic features i.e responsive design, free upgrades, advanced filter option, and 30 days support etc. Premium & Premium plus – $1299 & $1499 respectively including Android and iOS app, SEO friendly URLs, Paypal integration, 2 months support etc. Ultimate- Priced at $2299 and includes iOS and Android app, Alerts, Backup, and 6 months support. Developed by Ncrypted, Bristostays is a ready-made property management script app that allows you to start your vacation rental venture on the go. 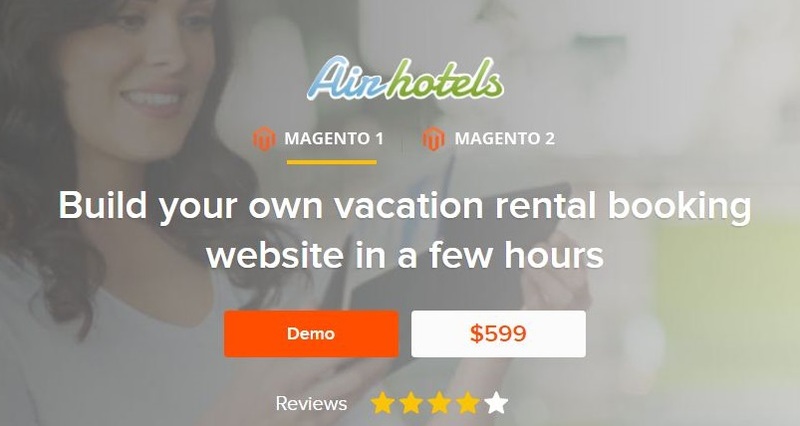 Other than vacation rental services, this Flipkey clone script can also be used for other services such as house rentals, apartment rentals etc. 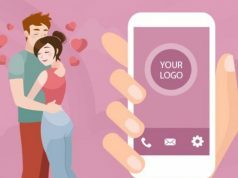 Besides basic features like admin dashboard and testimonials system, the app is packed with much-advanced features such as filtration, multiple currency support, referral system, and message communication system between guest & host. Such features make this property management script a great bargain. The professional edition’s pricing starts from $649 which includes 1 year support, responsive design, one domain etc. Priced at $949, Enterprise edition includes multi-domain, host cancellation policy, multi-currency etc. Elite – The Airbnb clone is priced at $1499 and includes 99% source code, free installation, no apps, 2 months support etc. Ultimate – At $2999, the clone script includes source code, mobile app and 3 months support. Enterprise – Priced at $5000, the Housekey clone includes 6 months SEO & SEM, 1 year support, updates, rebranding, payment gateway. In short, everything! Besides Airbnb clone, Appkodes is also renowned for developing feature-rich Food Panda clone scripts. Apptha’s Airhotels clone app enables you to start your vacation rental business in few hours. This turnkey Airbnb clone app has some of the most amazing features such as video integration, payment gateway, most popular section, time-based booking rules etc. This Airbnb clone script is available at the drool-worthy price of $599 including 3 months of support. Platform owners can easily sort notification and manage admin dashboards. The easy User interface of the app gives owner and customers an unmatched experience. Priced at just $399 & packed with 1-year support, this clone script captures the fancy of travel booking entrepreneurs across the world. The flagship product developed by Codzidel technologies needs no introduction. 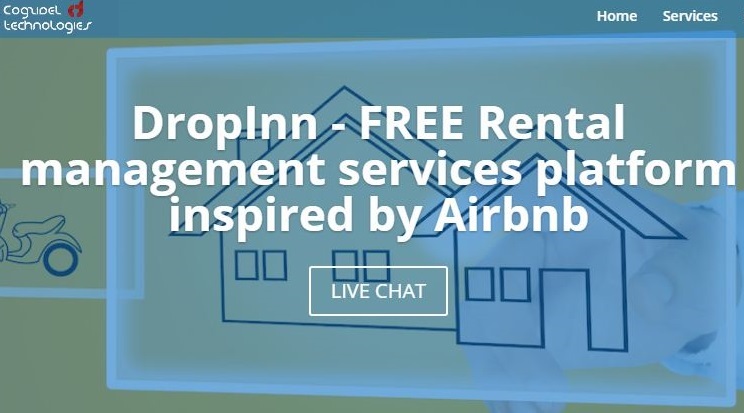 DropInn is a precisely developed property management clone script app built with Airbnb in mind. The company asserts that DropInn provides all the features and services of Airbnb at an affordable price. Bulk listing and secure payment gateways. The Price is not available on the website. Get in touch with the company to discuss the pricing options for the Airbnb clone! The extended license is priced a bit higher at $749 but regular license with free support and product updates makes sense if you’re on tight budget. The full-fledged property management script by Ubercloneapp has exactly the same services and features as the Airbnb. 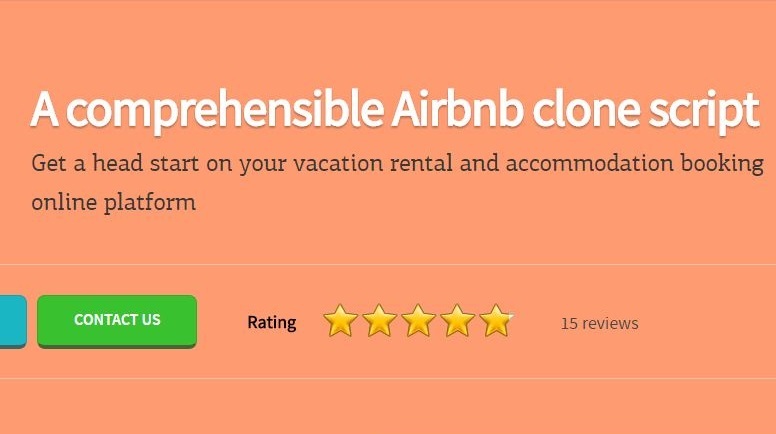 Ubercloneapp claims that the user experience of their clone script is no different than the Airbnb. Incorporated with the plethora of advanced features, Staysbnb has everything you need to start a vacation rental venture. This ready-made Homeaway clone script is highly customizable and user friendly. Common features- Paypal standard payment, smart calendar, newsletter, identity verification etc. Admin features- commission, property and user management, high-end admin panel etc. Host features – User-friendly dashboard, login with Facebook, verified tags etc. Guest features – Search properties, favorite properties, request to book etc. 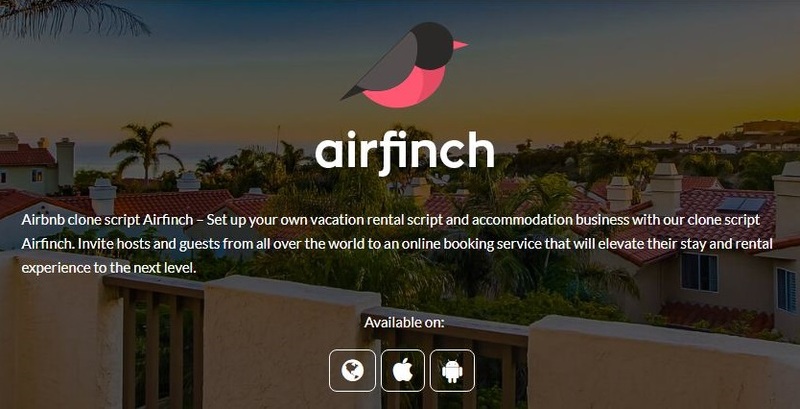 Our amazing list of Airbnb clone scripts ends here! Above are the best turnkey Airbnb clone builders available in the market to kick-start your vacation rental venture. Get into Vacation rental business! With technology aspect simplified by turnkey solutions, venturing into the vacation renting and booking business has become super easy and uncomplicated. That said, buying clone scripts of Airbnb, Homeaway etc. alone will not lead you up to their level. 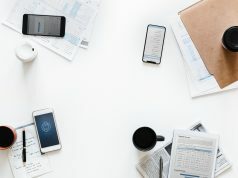 There is no denying that an Airbnb clone script solves the technology aspect at small cost, don’t forget to compliment the clone script with unique branding, aggressive marketing, and innovative features to truly stand out. 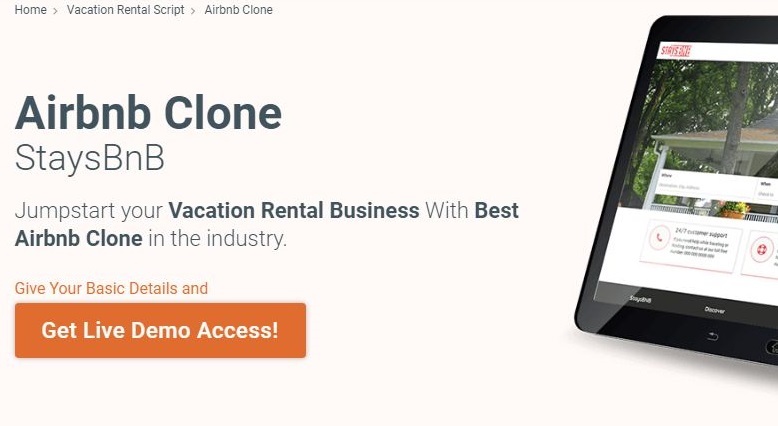 Are you familiar with any incredible Airbnb clone script that deserves to be in this top list of clone scripts? If yes, then please mention the brand in the comment section and we will consider it for inclusion in our super duper list.